Since most of the band members desired to keep the band together they gave themselves the name “Nobody’ s Children”. They recorded the first version of “Shardarp” for Chet Davenport’s label Toeholt in 1976. 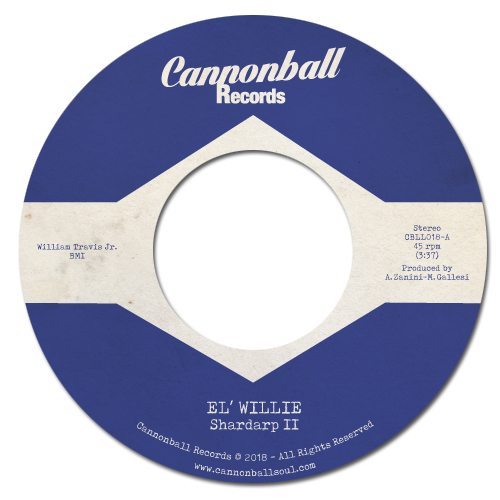 El’ Willie resung it for us a couple of months ago, 42 years later at 68 years old, to get it Cannonballized and exported around the world. We arranged this version with a beautiful hot summer in mind, with the late hours at the party in mind, with the beach and the cocktails in mind and we are very proud of this work for a couple of main reasons: it ain’t been easy to get to it and our family keeps on enlarging with artists and collaborations, for the great happiness of authors, mates, our musicians, the production team, the djs and the dancers. It’s a sense of inclusion, and that’s what it’s all about.